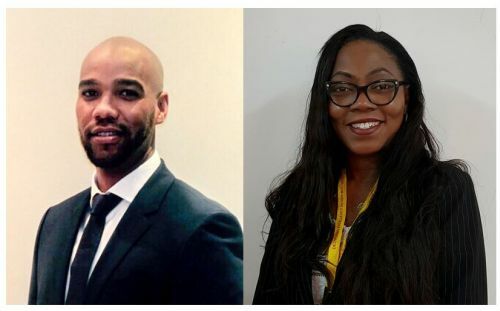 NIGERIA and KENYA, Feb 7, 2018 - (Media OutReach) - DHL Global Forwarding, the leading provider of air, sea and road freight services has appointed Agnaldo Laice and Maureen Adibuah as Country Managers in Kenya and Nigeria respectively. Both of them are industry veterans who possess strong local market knowledge and have been with DHL for almost two decades - having risen through the ranks in different portfolios. They will report directly to Daniella De Pauw, CEO, DHL Global Forwarding Sub-Saharan Africa. Amadou Diallo, CEO, DHL Global Forwarding Middle East and Africa, said, "Both Africa and Middle East are dynamic regions which are of strategic importance to our global network. Economic growth in Africa for example, is expected to rise to 3.2% in 2018 and 3.5% in 2019, due to an increase in commodity prices and favorable global financing condition. In view of the positive business and investment climate, we want to seize the opportunity to grow business prospects for our customers here, by leveraging our expertise and full understanding of these markets." Daniella De Pauw, CEO, DHL Global Forwarding Sub-Saharan Africa, said, "As one of the fastest growing and largest economies in Sub-Saharan Africa respectively, Kenya and Nigeria are both poised for positive growth amid stable business climates. Therefore, it is crucial that we have veterans like Agnaldo and Maureen to lead the teams with their keen understanding of local business and cultural practices in these countries. Their strong credentials and track records in the logistics industry will serve our customers well and I have full confidence in their capabilities to bring our operations in Kenya and Nigeria to greater heights." With more than 15 years of experience in the transportation and logistics industry, Agnaldo has taken on various functions including sales and marketing, operations, business development and general management within DHL. With this appointment, Agnaldo will leverage his expertise to further strengthen the performance of DHL Global Forwarding in Kenya. Agnaldo started his professional career with Deutsche Post DHL Group in January 2013, as Country Manager, DHL Global Forwarding in Mozambique - his home country. During his time in Mozambique, Agnaldo guided the business to achieve consistent growth in revenue and profits, by implementing standardized and robust operational processes aligned to global standards, to deliver high quality services to customers. He was also instrumental in driving greater customer centricity in the organization and developing logistics solutions that best addressed their needs and challenges. Agnaldo Laice, Country Manager for Kenya, DHL Global Forwarding said, "I am looking forward to hit the ground running, to seize new opportunities, and also to ensure we continue to deliver the highest standards of excellence to our customers. Of course, this is only achievable with the support of a talented and committed team which we have in Kenya, and a robust industry network." Before joining DHL, Agnaldo worked for the A.P Moller-Maersk Group from 2001 to 2012, where he held several senior positions, including the role of Cluster Sales Manager for Maersk Line (Mozambique, Malawi, Zambia and Zimbabwe). He was also a member of the Board of Directors of Damco Mozambique, a division of the Maersk Group. Maureen first joined the DHL family in 2001, taking on various roles within the DHL Express business division. These included Credit Control, Sales, Customer Service, Customer Management and Operations roles. She also played an instrumental role in growing the oil and energy sector during her time with the division, including the introduction of cross-border trucking for key customers. In September 2013, Maureen expanded her foray in the logistics industry by joining DHL Global Forwarding as Branch Manager for Port Harcourt in Nigeria. Under her leadership, she positively transformed the business to target the oil and energy sector more effectively, leading to positive growth results. From an Operations' perspective, she streamlined and reorganized the station to achieve operation excellence, and year-on-year revenue growth of 300%. In recognition of her capabilities, she was a part of the Regional High Potentials and joined the Build Your Skills Program (BYS) in 2015. Her most recent role saw her taking on the helm as Operations Manager for the Middle East and Africa region from 2016 to 2017. Maureen Adibuah, Country Manager for Nigeria, DHL Global Forwarding said, "It is an honor to be appointed for this role as it marks another career milestone. I'm excited to work with my team of committed logistics experts, to drive business success for our customers. Most importantly, I will leverage my industry know-hows and experience to add value to the business." Maureen holds a Degree in Law, Higher National Diploma in Fine and Applied Arts from University of Calabar and Institute of Management and Technology Enugu, Nigeria. She is also enrolled as a Barrister and Solicitor of the Supreme Court of Nigeria.